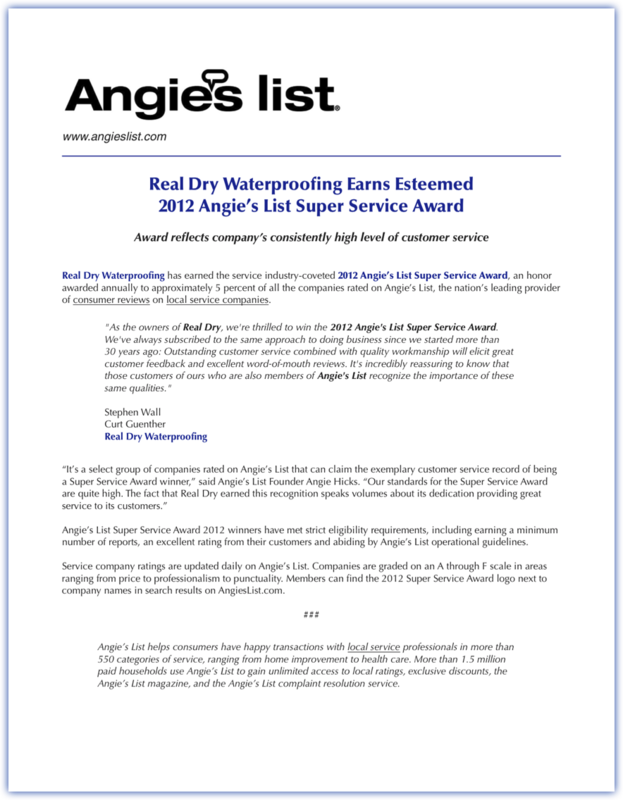 Recently we've become "real" proud here at Real Dry – because we were awarded the 2012 Super Service Award from Angie's List. It's quite an honor. A company has to maintain a very high grade average – on both their reviews and feedback – and Real Dry is in rarified air with this award. It's a lot of hard work maintaining such a good relationship with all of our customers . . . but we LOVE it!